We do this by operating classrooms in public parks across Seattle and King County. Our classrooms are 100% outdoors, year-round. We break down the schoolhouse walls and take the classroom outdoors. By eliminating the cost of building, renovating and maintaining a child care facility, we can spend money on what matters: hiring and supporting great teachers. By removing the startup costs of a facility, Tiny Trees is able to build a network of schools in city parks across Seattle, around the northwest, and beyond. Apply now to let us know you’re interested in attending at one of our 12 classrooms in King County. In fact, Tiny Trees is a scale up of an innovative, proven concept. 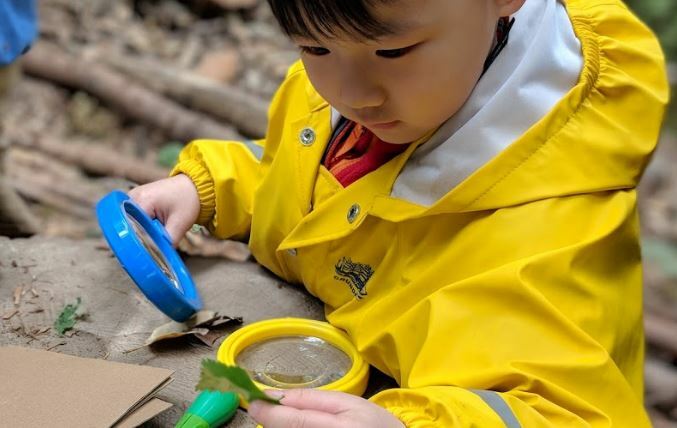 Started in Europe, outdoor preschools have shown to be healthier, more affordable and able to reach great academic outcomes. Tiny Trees is modeled after outdoor preschools in Norway, Germany and Denmark, three countries where the weather can get really cold. In fact, it is already happening here. 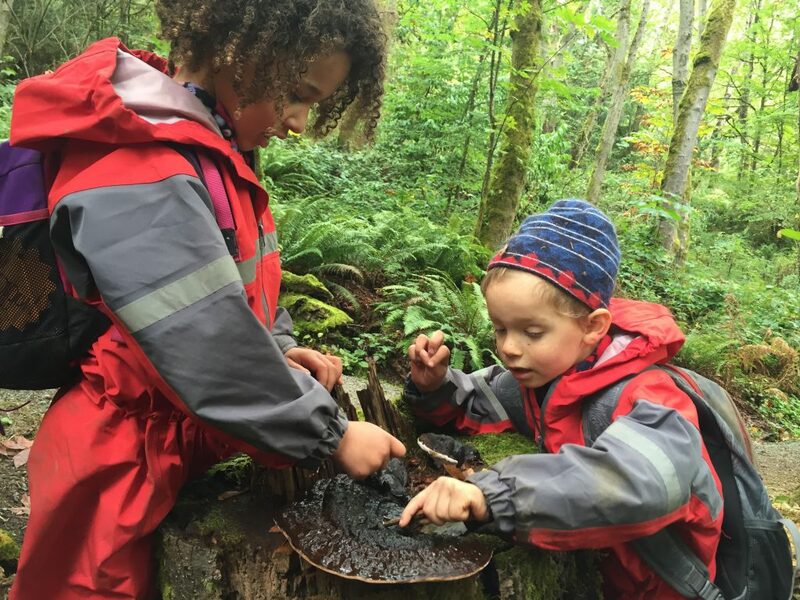 In 2006 Cedarsong Forest Kindergarten opened on Vashon Island, WA offering year-round nature preschool in an outdoor classroom. 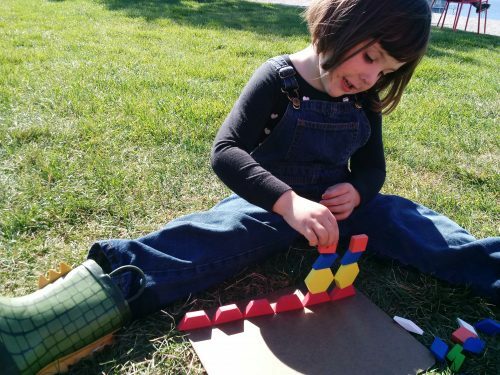 Since the opening of Cedarsong, there are now outdoor preschools all over the country, in both urban and rural areas. 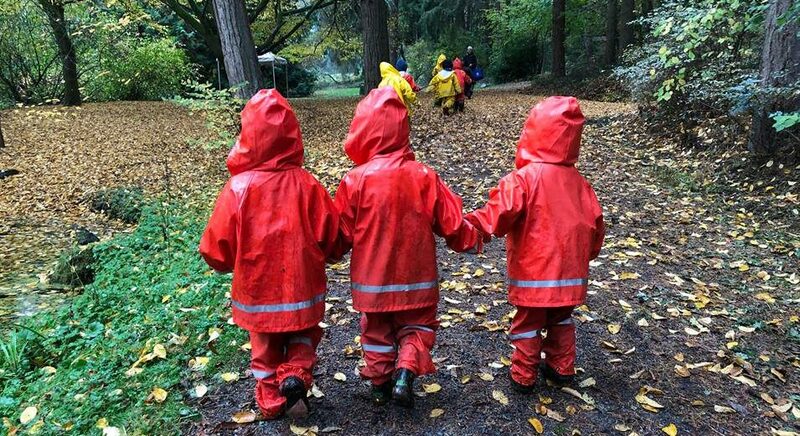 To keep our kids warm in a Seattle winter every child is provided with an award winning rain suit at no cost. 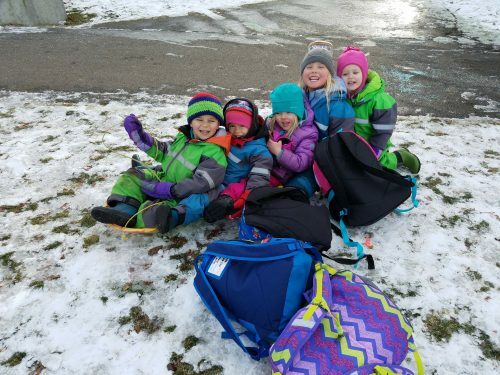 We combine the right clothing with a play based curriculum that keeps kids moving and warm while helping them build important executive functions like impulse control, perseverance and empathy. When children are outside every day, their body awareness develops quickly, alongside self-regulation skills. Every classroom is also equipped with weather-ready essentials, like pop-up canopies, hand warmers, and space heaters. The best part is that Tiny Trees gives kids a vibrant, nature rich childhood: one full of play, adventure & wonder.